•	Have rubberized adjustment clips for quiet operation. 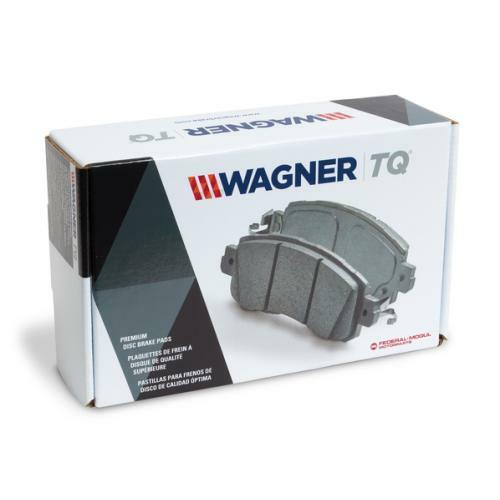 •	Chamfers and slots match up with GM Original Equipment applications to offer many of the same characteristics of the OE brake pad. •	Nucap Retention System (NRS) backing plates used when possible for superior performance. •	Police pads are specifically designed to meet the demands of police and fleet vehicles. 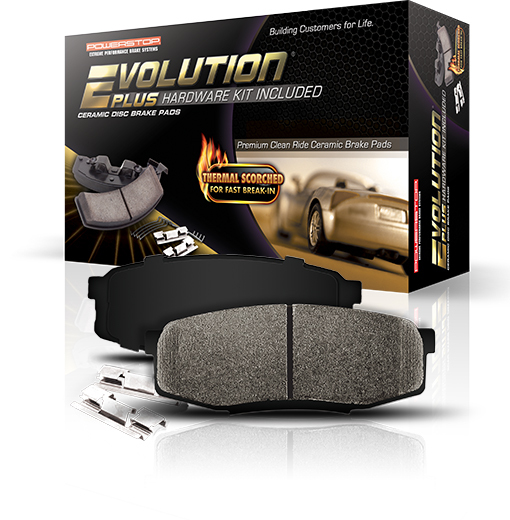 •	Offers multiple brake pads by different manufacturers. 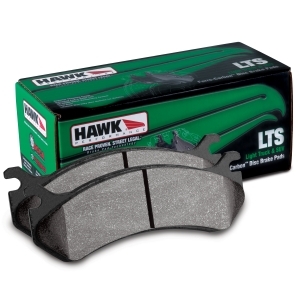 •	Our brake pads are made from 110% asbestos-free material. •	To match OE specifications, chamfers and slots are applied for noiseless braking. 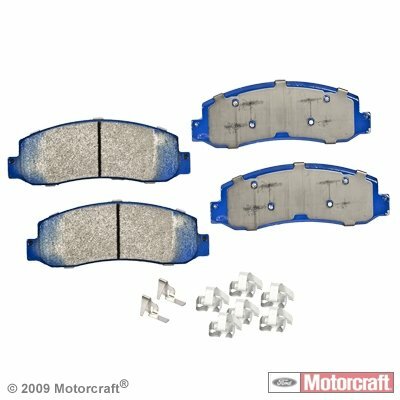 •	High-quality shims are installed for a minimized noise during brakes. •	The riveted and integrally molded configurations are alike with that of original equipment designs. •	For top-of-the-line performance and perfect fit that match OE specifications, hardware and wear sensors are installed. •	Premium quality TitaniuMetallic II coating speeds up the pad-rotor burnishing process, which is required for the manufacturing of all semi-metallic friction pads. 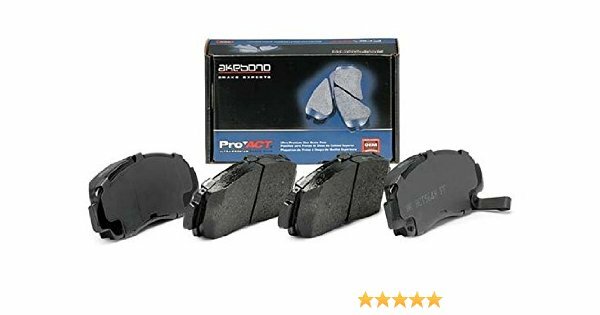 •	Through the use of a NAO/Ceramic technology, our company distributes a roster of high-quality brake pads that are made to last, whether for domestic or import applications. 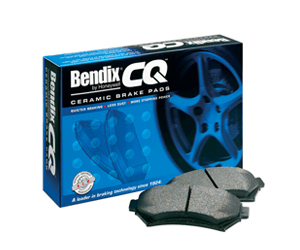 •	Designed with precision, our Bendix CQ ceramic brake pads are made to match OE specifications for any vehicle. 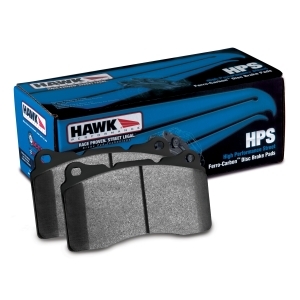 •	Our brake pads are improved using the finest of materials that will produce a swift and noise-free braking. 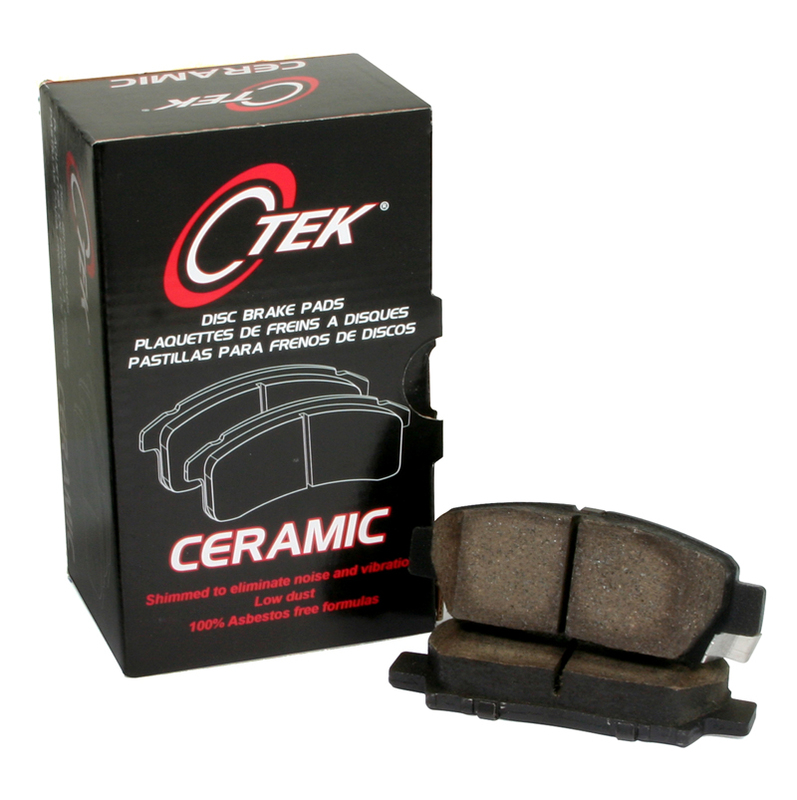 •	Our brake pads are also carefully engineered to generate less dust when braking—thus, improving wheel performance. •	For complete noise reduction, improved chamfer and slots are added. •	Pads are made from premium quality Bendrix ceramic friction materials. •	Shims are top of the line, and are thermally attached. 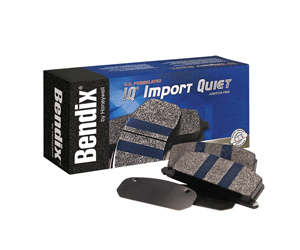 •	Bendix IQ brake pads are integrally molded to meet or top OE specifications. •	Shims are top-quality, installed with Driftlock system for a tight shim/plate attachment. 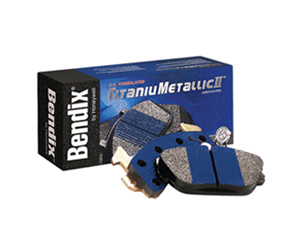 •	The blue titanium coating adds durability to every brake pad. This coating removes the traditional semi-metallic pad break-in period. •	Chamfers and slots are added for noise abatement to make sure that OE designs are met. •	Top-notch shims are included with all models. •	For exceptional stopping power even under the harshest operating conditions, a severe-duty friction formulation is applied. •	Slots and chamfers are included to match OE specifications. 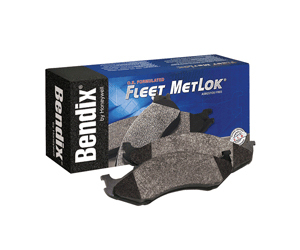 •	For increased friction on all models, the integrally formed pads use improved mechanical attachment methods, including the exclusive MetLok technology. 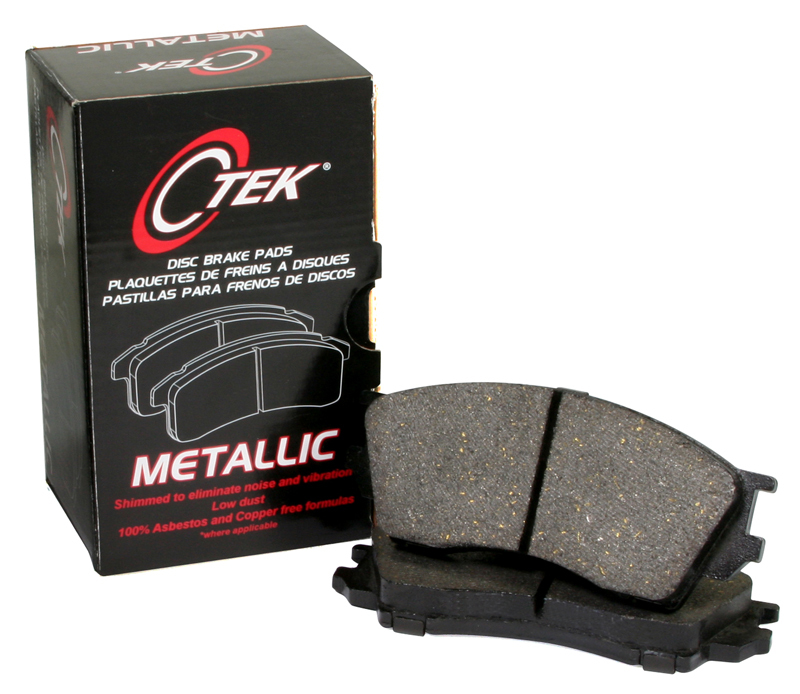 C-Tek Semi Metallic brake pads offer excellent pad and rotor life while producing minimal brake dust. • 100% Asbestos and Copper free formulas. to provide linear response at both cold and hot temperatures. • Precision cut backing plates. • Scorched for improved pad/rotor bed-in. • 100% Asbestos free formulas. • Hardware included where applicable. • Formulated for longer wear. • High anti dust capability. • High friction level at all temperatures. 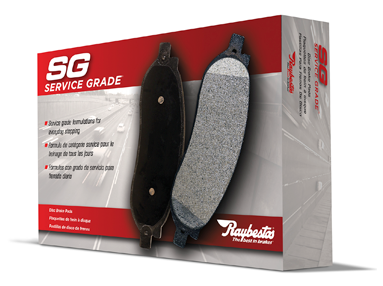 throughout the service life of the brake pad. • Excellent pad for long rotor life. • High temp fade resistant. • 100% non asbestos formulas. stopping power hot or cold. • Longer pad life than other friction materials. • Low dust formulations keep wheels cleaner. • Scorched for improved bed-in. • • Longest wearing most advanced material available. 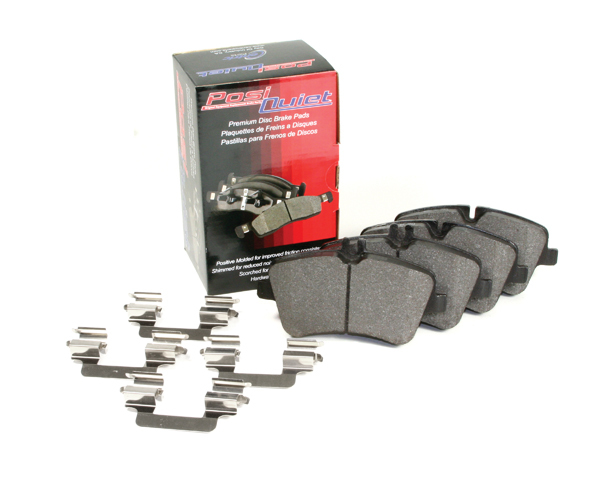 • Posi Quiet Ceramic Brake Pads (105 series). 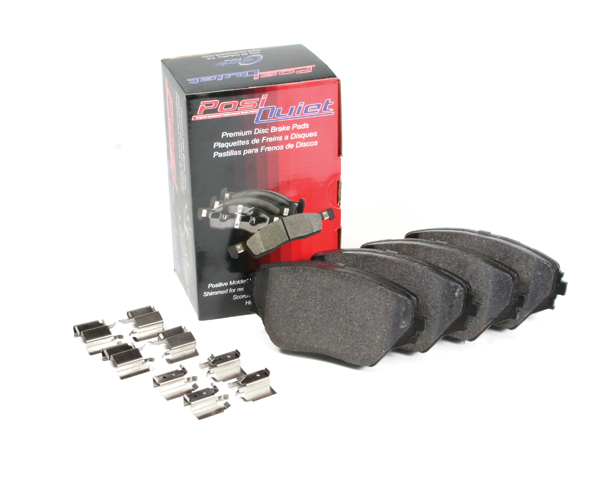 • Posi Quiet Extended Wear Brake Pads (106 series). •	Truck Yellowstuff Sport brake pads are a high friction formula that improves brake effect 30%. 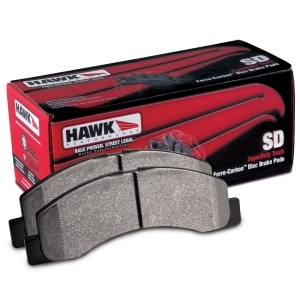 •	Zero brake fade makes this material perfect for heavier loads such as towing. •	Capable of repeated heavy brake use without brake “Fall-Off”. •	Very minimal disc/rotor damage characteristics. •	Suitable for all light trucks, Jeep and SUV in highway use. •	Superb brake control and pedal response. 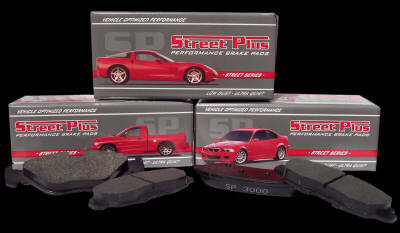 •	Features red “brake in’ surface coating for instant safe braking after install. 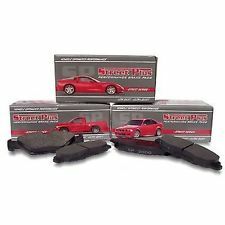 •	Redstuff ceramic brake pads, passenger car/saloon car pad NOT made for Truck or SUV fitments. 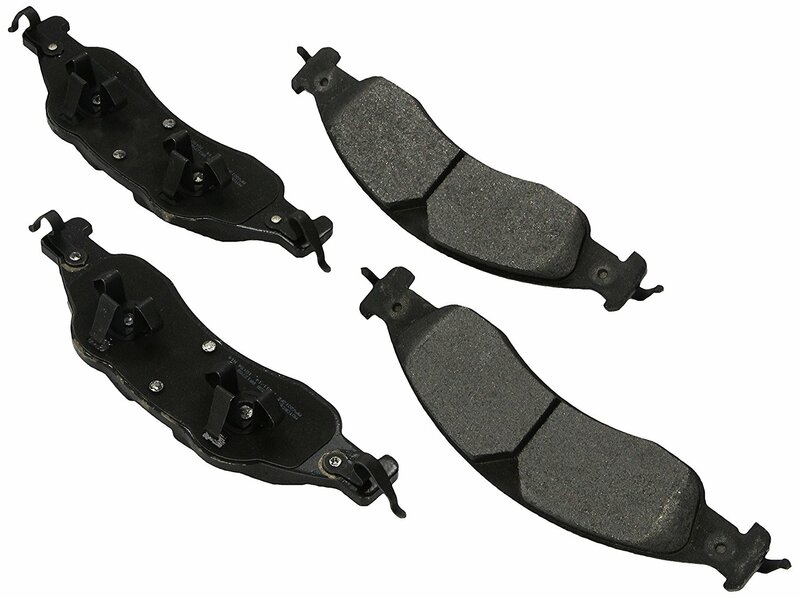 •	EBC lowest dust fast street pad with 15% brake improvement. •	Superb material for Prestige imports/European and Asian cars. •	ECE R 90 type approved for most cars. 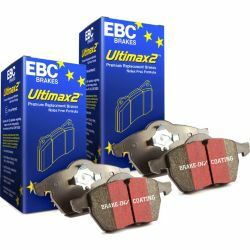 •	EBC medium dust fast street pad with 15% brake improvement. •	Superb material for lighter model Asian and European sport compacts. •	British made top quality product. •	Backing plate steels feature NUCAP NRS system hook technology for 5 times the bond strength of conventional pads. •	Noiseless material with piston insert NUCAP insulator shims. •	High volume Vee grooves in pads to vent better and remove dirt dust and debris actually cooling the centre hot areas of the pad better. •	Fade free brake material capable of a wide range of operational temperatures. •	More brake “grip” than stock and most low cost aftermarket pads at less cost than original parts. •	Longer life than any other pad we have ever made and we think, longer life than anything else out there in the aftermarket, including stock pads. •	Superb daily driver R90 type approved pad. •	New 100 % ECO friendly material with ZERO sulphides. •	No shims for noise reduction needed. •	More bite from cold. •	Works in hot and dry climates as well as in cold. •	Fully R 90 approved as was the original Ultimax grade. •	Utilize our OE and aftermarket severe-duty friction technology. 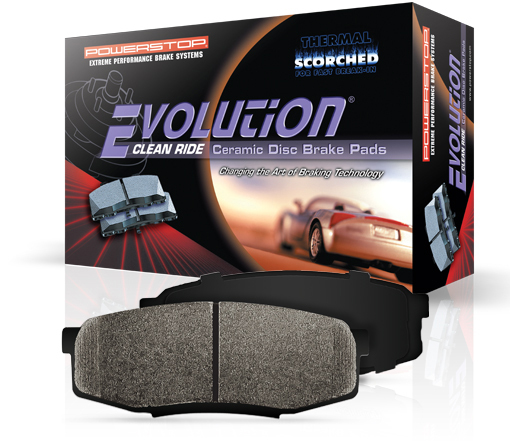 material delivers extremely high fade resistance, with superior high temperature rotor and brake pad wear. This product is not recommended for personal or recreational trucks and SUVs. •	Consist exclusively of organic materials or ceramic formulations and are significantly softer. •	Very little brake dust. •	Designed to exactly match the features of the various vehicle types, brake systems, engine performance, driving loads and braking characteristics. •	Engineered for noise free braking with dual rubber backed shims that offer 6 times more noise reduction than plain steel shims. •	Thermal scorched for fast break-in. •	True ceramic formula that keeps wheels cleaner and won’t wear-out the rotors. •	20% more stopping power than other leading brands. •	Made using OE positive mold technology, that assures a uniform friction density throughout the pad and this helps control noise and premature wear. •	Manufactured under TS16949 standards to OEM specifications including chamfers and slots. 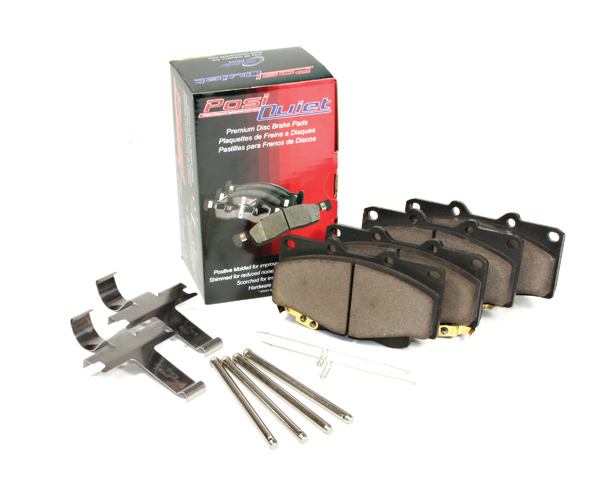 •	Includes application specific brake hardware kits. Each hardware kit will include stainless steel abutment clips (where applicable), anti-rattle hardware clips, piston clips or bushings and sleeves as required for installation. •	For the enthusiast that wants to get the most out of their vehicle without sacrificing everyday drivability. •	Carbon Fiber/Ceramic friction compound. 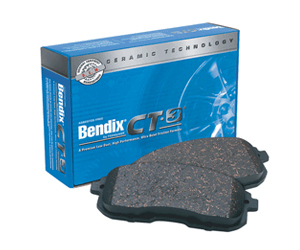 •	Resist fade up to much higher temperatures than OEM pads. •	Premium stainless steel hardware kit is included where applicable. 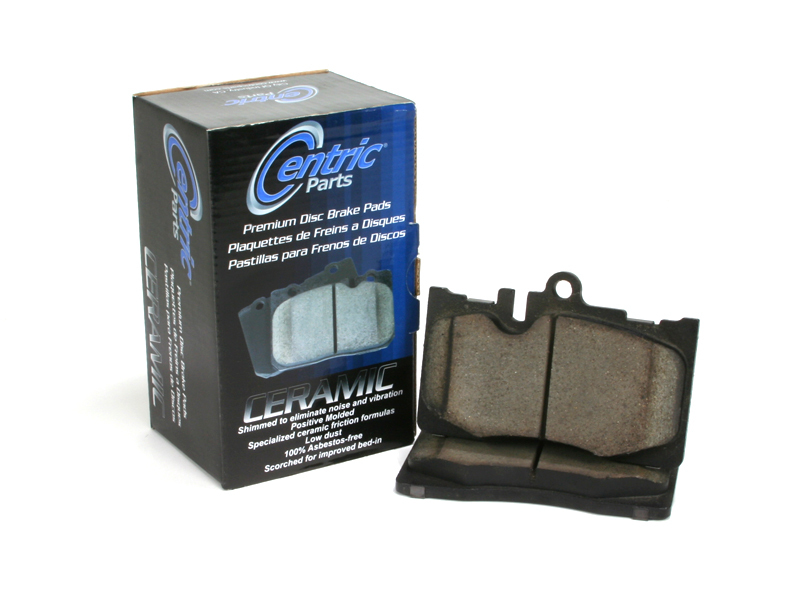 •	Ceramic brake lubricant is included in every brake pad set. 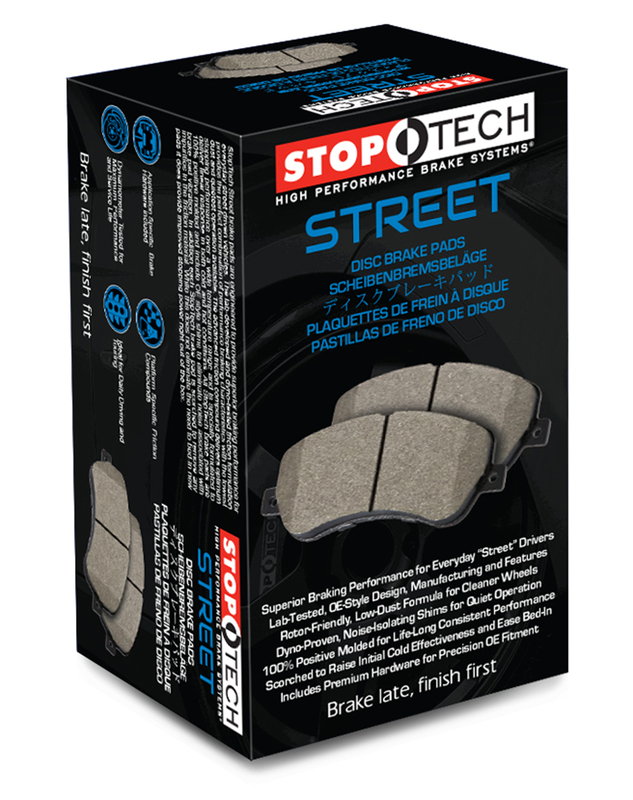 •	Made for high performance street drivers who demand shorter stops under the most demanding conditions. 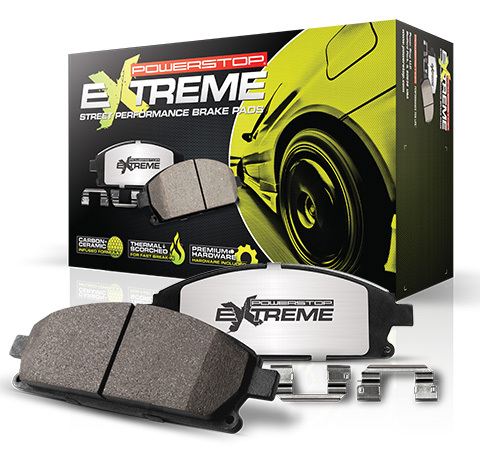 •	Brake torque is consistently higher than OE pads with outstanding thermal stability. 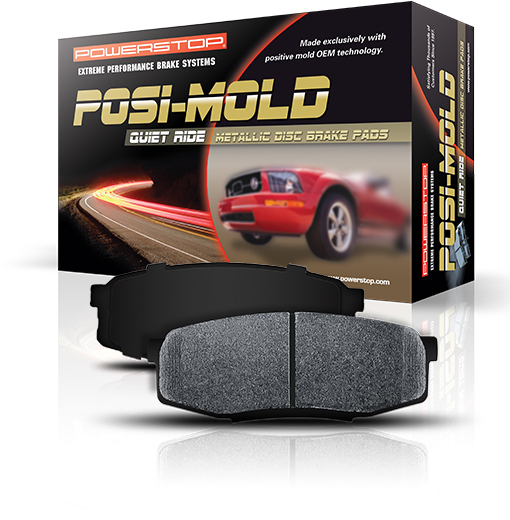 •	Best suited for high horsepower cars and big wheel upgrades. •	Friction compound is a carbon fiber and ceramic hybrid that resists fade to 1500 degrees. •	You can count on superior pad bite without dusty wheels. •	Specifically designed for vehicles that drive through hills, haul loads or tow trailers. 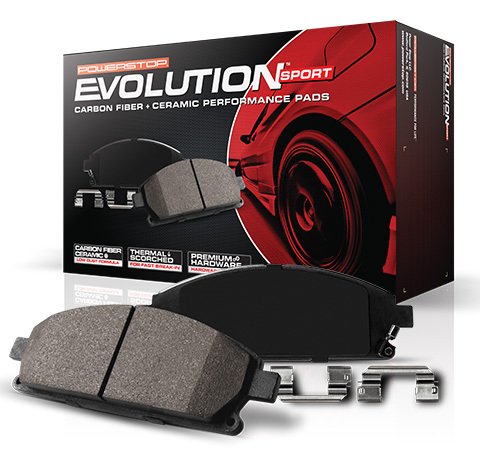 •	Carbon Fiber Infused Ceramic brake pads are made for trucks and SUV’s with higher gross vehicle weights. 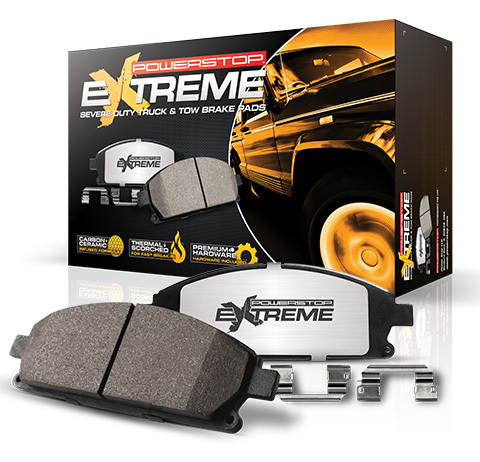 •	Extreme pad bite offers superior performance to avoid high temperature brake fade. •	Compound is a quiet and low dust formula that features a coefficient of friction 17% higher than OE pads. 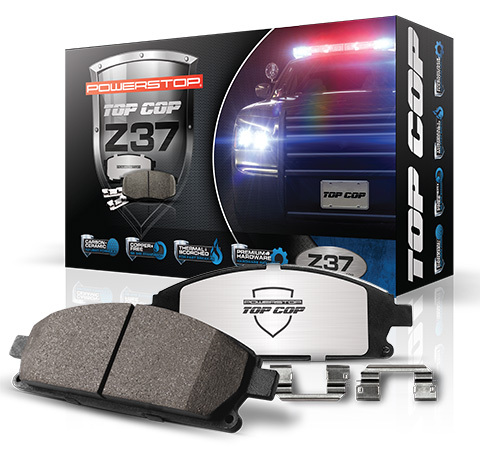 •	Police officers have a tough job, so they need tough brakes to hold up to the high temperatures that are experienced during pursuit driving. •	Specifically designed with this purpose in mind. •	A high, stable coefficient of friction is crucial to confident braking, so we test all our formulations to the limit to make sure that they are up to the task. •	For vehicles that come with OE semi-metallic pads. •	Offers like-for-like replacement brakes manufactured with the same OE positive mold technology. 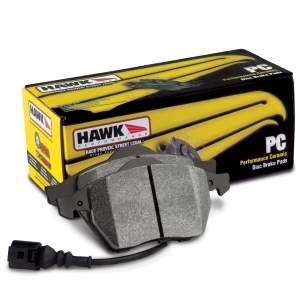 •	Designed for quick brake response and superior stopping power. 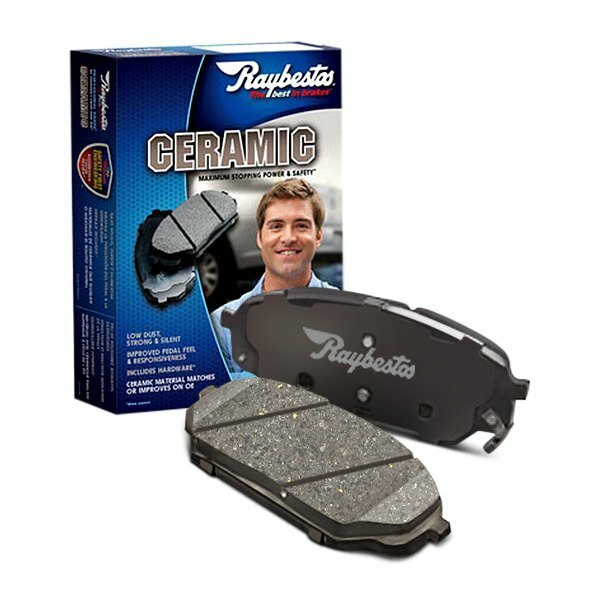 •	Made with dual layer rubber shims to dampen vibration and eliminate annoying brake squeal. •	Chamfered and slotted like the original equipment parts. •	Best solution for safe and effective brake power. Made with either ceramic or semi-metallic materials. Come with a noise-dampening steel shim. An OE-matched, electronic wear sensor is included where applicable. Made with ceramic or semi-metallic materials and is consistent with OE specifications. All Reliant™ friction comes with a premium layered steel shim. •	High Performance Semi Metallic Friction. •	Formulated for aggressive street driving. •	Low Resin formula reduces brake fade. 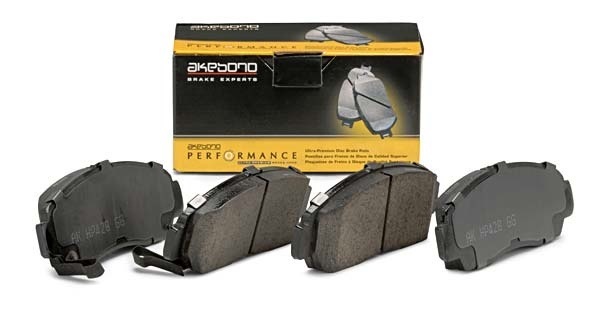 •	High-friction compound delivers superior stopping power at a wide temperature range. •	Anti-noise shims provide smooth quiet stopping. •	OE style Chamfering and slotting help heat and dust dissipation. Noise dampening shims for smooth quiet stopping. Low Resin formula reduces brake fade. Low wear and low dust. Keeps your wheels clean. OE style Chamfering and slotting help heat and dust dissipation. •	IMI sound insulator - "one-piece design"